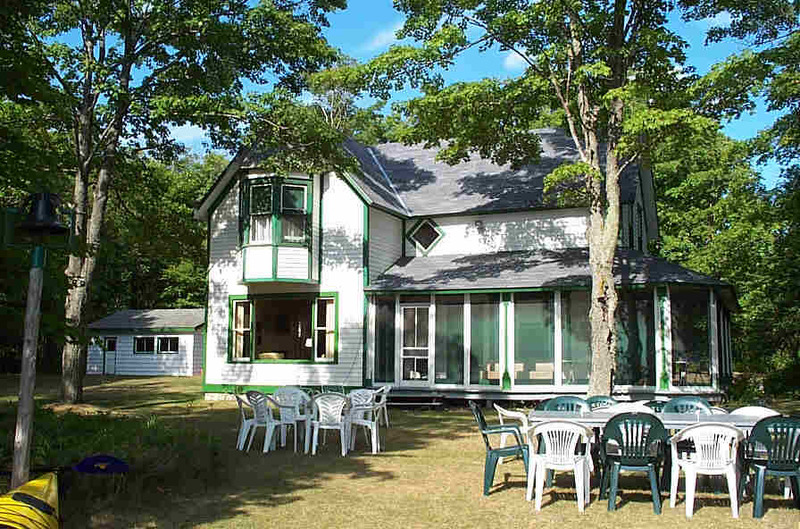 Lakme Club, Ltd. offers a charming Victorian style summer house for rent on Washington Island, Wisconsin. 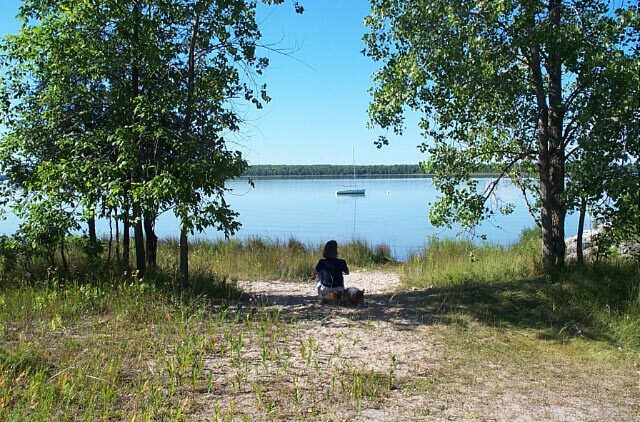 Our Wilson house is on the shoreline of Detroit Harbor, a historic shallow-water inlet from Lake Michigan off of the Door County peninsula. Lakme's Wilson House is a five-bedroom, two-story Victorian summer house, overlooking a two-acre lawn that gently slopes to the waterfront. Lakme's beach faces southwest to Detroit Harbor's shallow, clear water. A roll-in boat dock provides a focus for swimming and boating.